COTSA launches spirit wear store! It’s time to get your gear on and show your pride in Colorado TSA! In a special partnership with KSE Imprints, Colorado TSA has launched an online store where you can go to get some really cool COTSA Spirit Wear for very affordable prices! We have provided a link at the right (just click on the store logo). You’ll be taken to the secure site where you can purchase your COTSA Spirit Wear! So get your gear on and show your spirit, Colorado TSA!!! 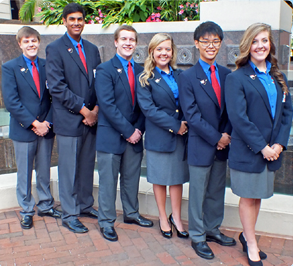 To get OFFICIAL TSA shirts, patches and pins for competition, please visit the National TSA Store by clicking here. Next Next post: 2014 COTSA State Conference a huge success!